I detachted the spirals, because it became sooo boring! Besides, the orange connection pulled the spirals out of shape. 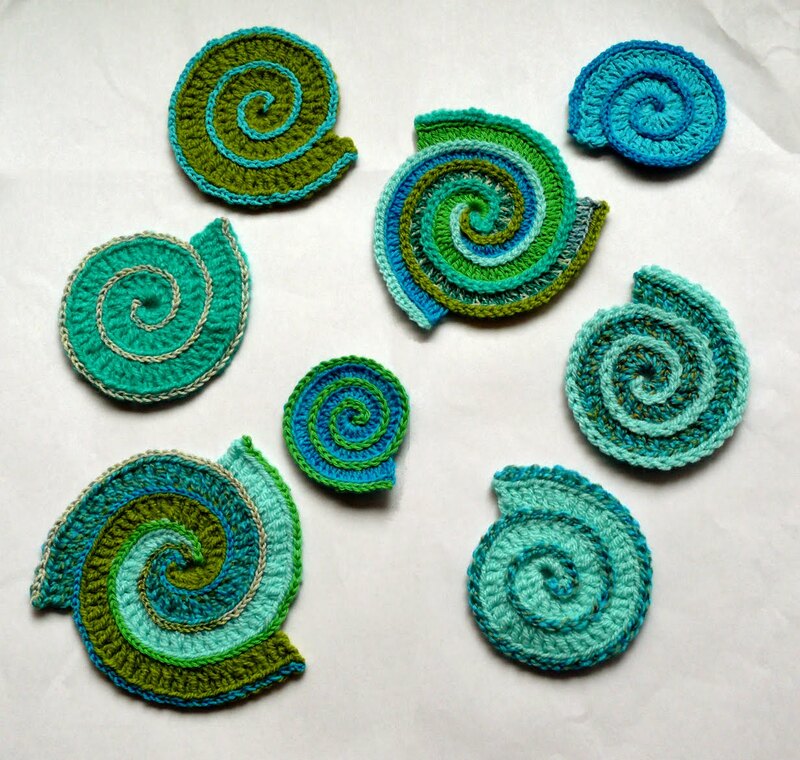 Still pursuing the spirals idea, but i have to figure out a different way to connect them. I love the way the triple spirals turned out! I am enjoying your work, and your progress. It is inspiring to follow. I like the bullion as well, but don't want to fall back on them every time. I think it's a good suggestion to group them i'll give it some thought. Next week i will continue the pillowcover, this weekend my kids&grandkids are visiting, there won't be enough time and quiet for freeform:) Not thay i mind... i love having them over!